So what exactly differentiates the FirstPoint Japan Expert series from the numerous Japan-related and Japan-focused websites that are already out there? Japan Is Weird School of Journalism here. Sorry if that disappoints you but there are countless sites out there for that. 2. We tend to lean towards brass-tacks advice gleaned from those fighting in the trenches. What is really experienced on the ground? 3. We work to find solutions to enable you to seize an opportunity, extract value or mitigate risks. 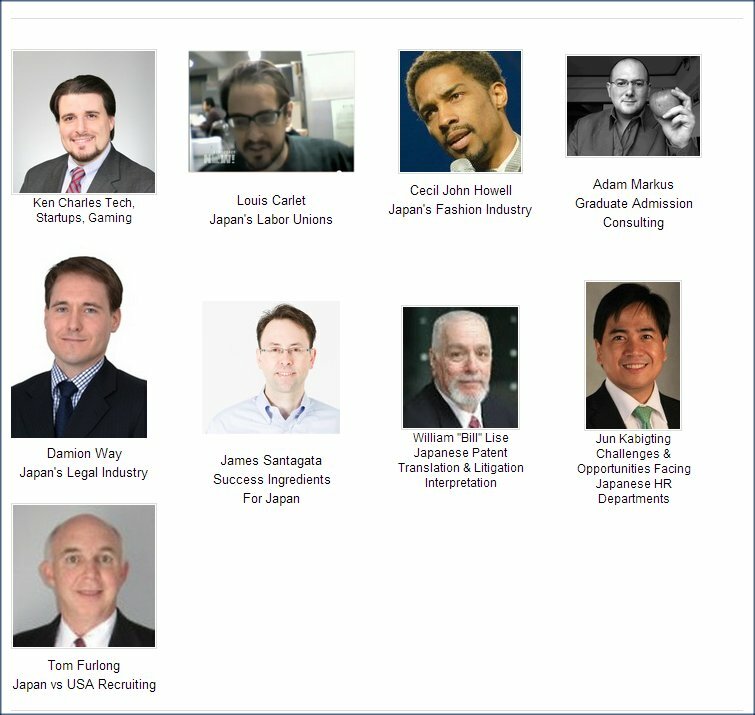 Our expert interview topics range from recruiting, talent management, coaching, the in's and out's of Japanese labor unions, market entry, technical and technology issues (e.g, i18n/L10N, Han Unification, medical trials, etc.) and much, much more. We also analyze the Japan market from industry verticals including fashion, banking, finance, high-tech, life science, automotive and many more. If you don't sign up to for our newsletter, you'll miss out what you need to know to succeed in the Japanese market.